…the language in his plays is as inventive and evocative as any we’ve had. The Theatre of Tennessee Williams brings together in matching format the plays of one of America’s most persistently influential and innovative dramatists. Arranged in chronological order, this ongoing series includes the original cast listings and production notes for all full-length plays. 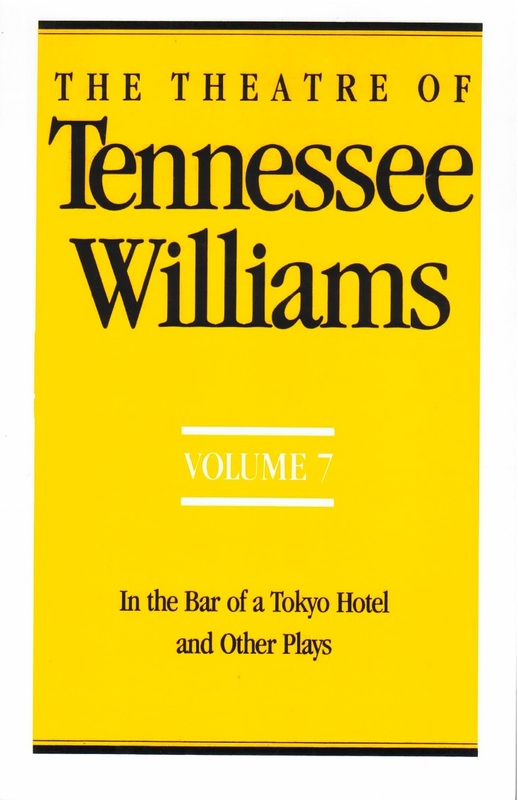 Now available as a New Directions paperbook, Volume VII: In the Bar of a Tokyo Hotel and Other Plays, contains Williams’s shorter plays of the late ’50s and ’60s, many of them published in Dragon Country in 1970. In “dragon country… this country of endured but unendurable pain,” the bar, the hotel lobby, the boarding house, the nursing home or “retirement village” are microcosms of the human condition where we are never, but always, alone. To the plays of Dragon Country are added Now the Cats with Jewelled Claws, Lifeboat Drill, and This Is the Peaceable Kingdom. This is an essential collection for all students and fans of the great playwright.